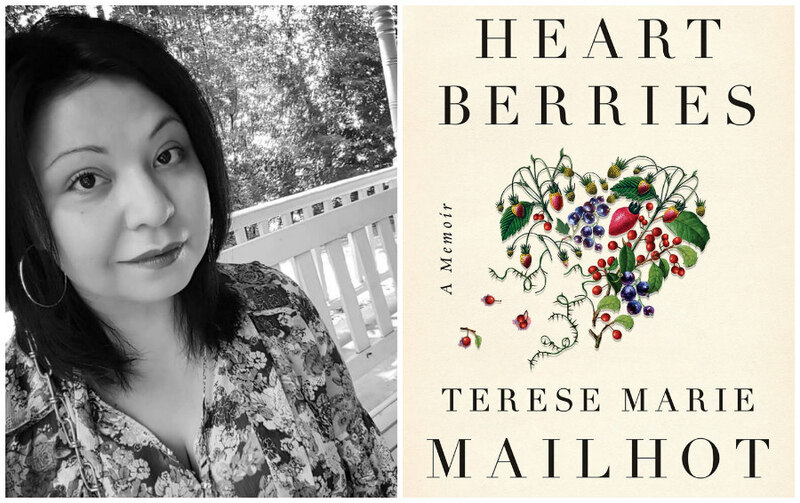 Terese Mailhot’s debut memoir, Heart Berries, is a book for women who are learning to navigate anger. It is a story of how Mailhot’s mental illness disrupted her relationships; a reckoning with childhood trauma and abuse; and an introspective and purposeful push back against the notion of being unmanageable and “too much.” American Indians face higher rates of mental illness than white Americans, and PTSD in particular is strikingly high in American Indian communities. Understanding the impacts of colonialism and ongoing violence against Native communities—which impacts stigma for speaking out, access to culturally relevant services and more—is essential when discussing contemporary mental health. Mailhot captures those layers in Heart Berries by exploring how losing custody of her eldest son, Isadore, and entering into turbulent relationships with men helps trigger bouts with mental illness. After one of her more intense break-ups, she checks herself into a psychiatric facility, where she is diagnosed with bipolar II, Post-Traumatic Stress Disorder, and an eating disorder. 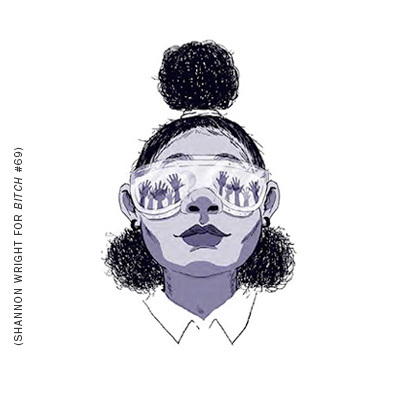 In the “Your Black Eye and My Birth” chapter, Mailhot discovers that she’s pregnant with her third child and has to stop taking her medication. She describes her external behaviors—yelling at her son for no reason, picking at her scalp until she bled—in relation to her internal fears, observing that “I couldn’t distinguish the symptoms from my heart. It was polarizing to be told there was a diagnosis for the behaviors I felt justified in having. And then, I knew some part of my disease was spiritual or inherited.” First Nations scholar Rachel Flowers believes that anger has transformative power when born out of love for your family, community, and land. Flowers says that it is imperative to recognize that “the presence of our resentment reveals ongoing harm and a desire for freedom,” and that framing Indigenous people’s resistance only in terms of love centers settler yearnings for forgiveness. The dismissal of “negative” feelings—whether anger, pain, or fear—persists in political and public as well as personal relationships. Explicitly discussing mental health and anger as Mailhot does combats systems meant to keep us silent about our pain and internal struggles. She uses her story to intentionally empower American Indian women who are navigating pain and mental illness. Mailhot achieves this by openly dissecting the impact that mental illness has on her relationships: For instance, she justifies hurting her boyfriend Casey when she’s angry with him because she can’t “manage” her symptoms at home as she does in public, but also worries about turning into her abusive father. Though nearly every chapter is grounded in her adult life—taking us from her first pregnancy to earning a Master of Fine Arts degree in fiction—she weaves in memories of her childhood. Memories of her mother’s death and learning how to dissect rabbits with her grandfather are entwined in a letter she wrote to Casey while in a psychiatric hospital. Her childhood often appears in hints, rather than fully-fledged stories, but as she pieces together memories, we learn of sexual abuse by her drunken father and her mother’s boyfriend; her mother leaving Mailhot and her siblings to fend for themselves for weeks at a time; and about her getting pregnant and married as a teenager to avoid foster care. 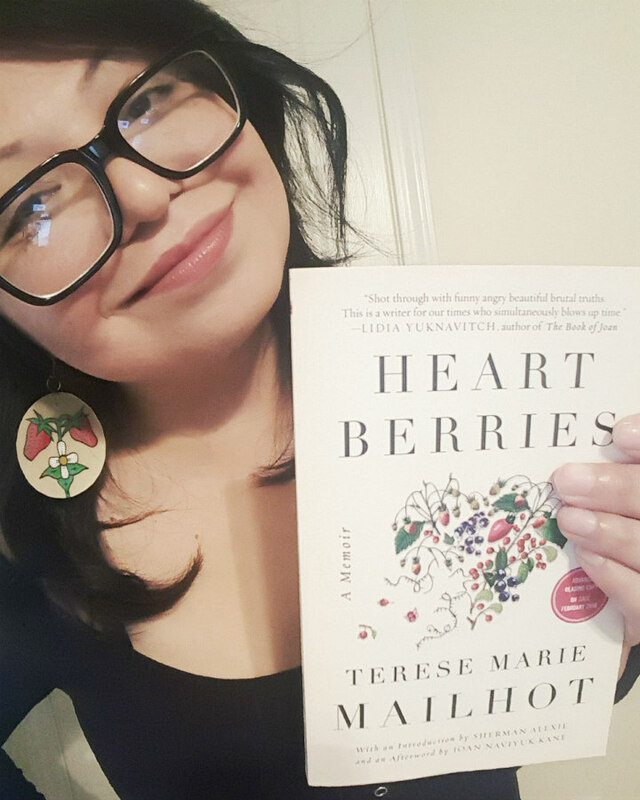 Though she writes openly about pain, Mailhot consciously avoids feeding stereotypes about American Indians. “As an Indian woman, I resist the urge to bleed on a page, to impart the story of my drunken father,” she observes. “It was dangerous to be alone with him, as it was dangerous to forgive, as it was dangerous to say he was a monster.” She’s intentional about how she talks about her father’s abuse and alcoholism because she doesn’t want to make him one-dimensional or shortchange herself by framing his story as subversive. So, Mailhot creates nuance by exploring her family’s personal trauma, so it’s clear their abuse isn’t inherent or pathological. Her mother was abused by many men during Mailhot’s childhood. Mailhot’s grandmother attended boarding school, a space of violence and forced assimilation. The transparency and nuance of their stories pushes against the tendency to pathologize American Indian struggle and trauma. Heart Berries isn’t a guidebook for handling mental illness or healing from childhood abuse and dysfunction. However, Mailhot is opening her wounds to encourage other women of color to share their stories and recognize the multiple truths of their lives. Mailhot doesn’t just name her pain. She shouts it, and in the process, creates a space for other American Indian women to do the same. We cannot end violence against Native women and girls if we continually sexualize them.